It’s been reported recently that Tyson Fury is already back in training for his next fight, not long after his controversial draw against WBC heavyweight titleholder Deontay Wilder last month. And if that’s the case, it’s a great sign for him but not as much for Wilder if they meet again in their next fight. When Wilder and Fury met last December, Fury had been inactive for thirty-one months before he fought twice in matches totaling fourteen rounds. That’s not ideal to prepare for an active titleholder such as Wilder. In addition, Fury gained nearly one hundred pounds and abused his body, indulging in food, drugs, and alcohol during his exile. Many believed he would never again be the same fighter he was before the self-induced and brief retirement that followed his victory over Wladimir Klitschko for the world heavyweight title. Then he shocked the boxing world and fought Wilder to a twelve-round draw—a fight that many observers saw in Fury’s favor. Aside from a few rounds and four big punches resulting in two knockdowns, Fury outboxed Wilder at every turn—and that’s saying something because Wilder fought one of the cleaner and more controlled fights of his career, a fact that surprised many. As most know, the Wilder–Fury bout happened because Wilder and WBA/IBF/WBO champion Anthony Joshua couldn’t agree to terms for a unification bout. And if Wilder fights Fury again before meeting Joshua, there’s a good chance we’ll never see Joshua–Wilder, at least with all the titles on the line and both fighters being undefeated. It’s also been reported that the WBC has ordered an immediate rematch between Wilder and Fury. Wilder, if he was smart, would tell the WBC to take a walk. Because Wilder’s credibility has never been greater, and he no longer needs their title belt to make a fortune to fight Anthony Joshua. For much of his ten-year career, Wilder has been excoriated for his lack of skill, fighting acumen, and level of opposition. In his last two bouts, however, against undefeated Luis Ortiz and undefeated Tyson Fury, he has quieted his critics. Against Ortiz, he battled back from adversity and stopped “King Kong” shortly after he was on the verge of being kayoed in a fight in which he was trailing. And in his last fight against Fury, Wilder was a tenth of a second away from scoring a knockout (and Fury may be the most stylistically challenging fighter in the heavyweight division). So it can no longer be said that Wilder hasn’t faced or beaten anyone. And that’s why he should fight Joshua in his next bout because he’s never been seen as being more legitimate. If Wilder goes through with a rematch versus Fury, moreover, there are sure signs of trouble awaiting him. And the first one is the style clash between them. Because, more often than not, when a “boxer” wins the first meeting with a “puncher” the result usually repeats itself. But, on the other hand, there have been boxers who lost a fight to a puncher and adjusted the second time around and won. Two obvious examples are Muhammad Ali and Sugar Ray Leonard beating Joe Frazier and Roberto Duran, respectively, in rematches. Now, try to imagine Felix Trinidad adjusting in a rematch and beating Bernard Hopkins—there was no chance of that ever happening. When Wilder fought Fury, “The Gypsy King” was rusty, and regardless of how hard he trained he wasn’t near as ready as he’ll be for a rematch. The twelve rounds he spent in the ring with Wilder no doubt shook off the rust he acquired during his inactivity. And the fact that he had to be on alert the entire fight helped sharpen his instincts. His reflexes will be better in a rematch. In addition, he now has a better read on Wilder’s limitations and will not be caught at mid-range as much as he was during their first fight. Fury can and will adjust and neutralize Wilder’s power. For twelve rounds Wilder did the same thing repeatedly against Fury—jab, right hand or jab, jab, right hand. The left hook he stunned Fury with in the last round as he was going down looked almost as accidental as it did deliberate. The hard truth is that Wilder is who he is and, despite not getting the knockout against Fury, he’ll enter the rematch with the same mindset—looking to end the fight with one punch like he almost did in December. And that’s the problem with Wilder: he never thinks beyond punching power and he hasn’t grasped that, against the best of the best, deception is needed to deliver your power. And it’s hard to believe, then, that Wilder will modify things in a rematch against Fury. More likely, and predictably, he’ll just try to do what didn’t quite get it done the first time. It’s likely, therefore, that Wilder loses the rematch to Fury. Fury is more of a boxing student than Wilder (who gives the impression that he’s all about chasing power). Also, this time Fury will tie up Wilder in close and neutralize his power more than he did the last time. And it’s impossible not to assume Fury’s conditioning will be better and that he’ll be able to disrupt and occupy Wilder more, thus shrinking the round and Wilder’s time to get something going. And all of this translates into the fight going the distance with fewer close calls for Fury, resulting in his earning the decision. 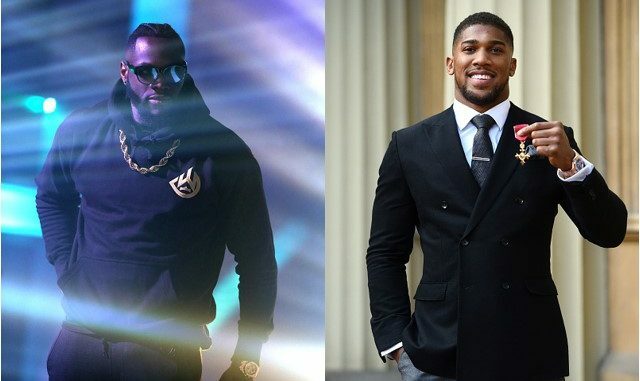 A Joshua–Wilder fight would lose all of its appeal if Wilder loses to Fury. The reality is that Wilder has nothing to gain by fighting Fury again. If he wins, people will say Fury hadn’t gotten back into the form and shape he was in for Klitschko; and if he loses, he has no leverage. The takeaway, then, is that Wilder, more than most other titleholders in his position, needs to face Joshua at a time when he brings the most to the table. And being undefeated and the anointed biggest-puncher-in-the-division are his drawing cards. A loss to Fury erases all of that; and if that happens, neither Joshua nor promoter Eddie Hearn will have much use for him. It could turn out to be a colossal mistake for Wilder, in trying to play hardball with A. J. and Hearn, to fight the better-prepared Fury again before he faces Joshua. Think of it this way. After Joe Frazier defeated Muhammad Ali in the “Fight of the Century,” he refused to fight Ali again because he didn’t want to split the purse with him like he did the first time. 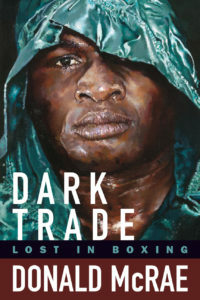 His refusing to accept that Ali was still the bigger draw led him to try and freeze Ali out of the title; instead, Frazier fought the next-highest-ranked contender—undefeated Olympian George Foreman, despite his trainer Yank Durham pleading with him to fight Ali again for nearly four times the purse he would get for Foreman. Durham also knew that Frazier matched up better with Ali than he did with Foreman, realizing that even if Frazier lost the rematch there would be a rubber match with Ali, as opposed to losing to Foreman, which would leave him the odd man out—and it did. In this case, Wilder doesn’t match up with Fury as well in a rematch as he did the first time. Fighting Joshua, after not losing to Fury and still holding the title, is the way to cash in. If he loses to Joshua, he’ll have all the money he’ll ever need. And if he beats Joshua, there’s a ton of money waiting for him in the rematch, and a second Fury fight would also deliver a windfall.